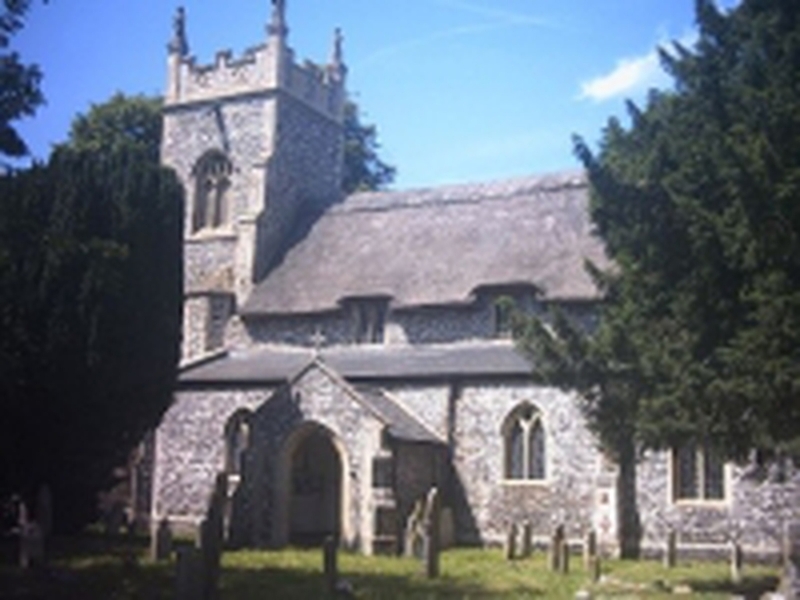 All Saints is a small to medium size 14C building of flint and stone dressing. The Nave roof is thatched with eyebrows over the clerestory windows and is supported by 28 original 14C single-framed scissor braced collar rafters. The North aisle and vestry were added in 1847 and the West end 14C Tower was restored in the 1880s in memory of the Reverend Thomas Lyon Fellowes with a stepped parapet and corner figures of the Evangelists added in 1890. There is one 6cwt bell dated 1625. Entrance is by the accessible South porch. There is a 13C font with later oak cover. A Bishop's Cross is painted on the South wall. The Victorian pews in the nave and aisles have a great variety of poppy-head ends. In the North-west corner are two finely carved pew ends, one depicting a sow feeding 10 piglets and the other a dog. The Screen was much restored in Victorian times with a crucifixion scene on top with four attendant figures. In the Chancel there is much fine Victorian carving with six stained glass windows showing the Apostles and a fine stained-glass East window dedicated to the Reverend Robert Burroughes.